There are two campgrounds at Lake Louise, the usual parking lot for hard body RV’s and another area for soft-sided campers and tents. The soft-sided area is surrounded by an electric fence to keep the elk, caribou, moose, cougars, and .. bears out of the campground. It’s needed. Back in 1995, campers were attacked by bears, so now they keep them out. If you’re camping at Lake Louise, note that not all the sites here have fire pits. 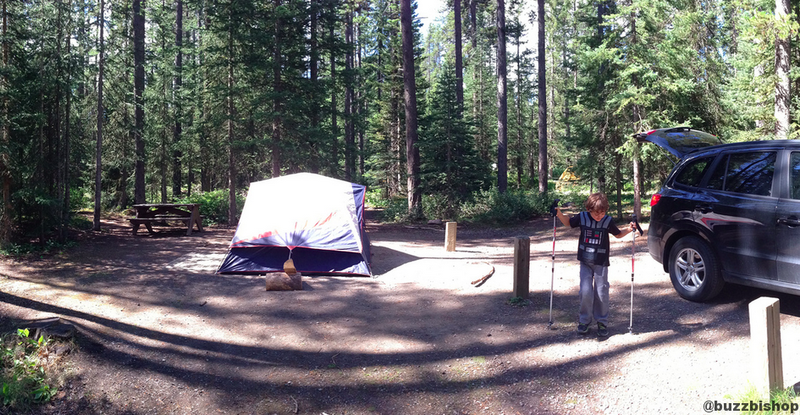 Just the south end of the campground (camp loops above G) has fire pits, the north end does not. We reserved a spot in loop D and were left without a fire pit. No worries, you can use one of the fire stoves in the group cooking areas to have a fire and serve up some s’mores (that’s what we did). The camping at Lake Louise facilities are fine for a National Park. They are treed, separated, and well groomed. 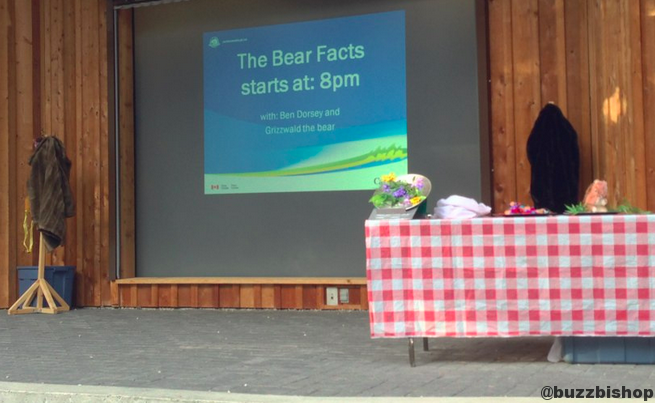 There are evening programs each night at 8p, and the one we saw on bear safety showcased great audience participation (Zacharie volunteered me to dress up like a grizzly bear) and many laughs. Not all of the bathrooms were working during our stay, but there are enough scattered across the campground that it’s not much of a walk til the next one. There is only one shower facility in the campground, and it is not central. If you need showers, book in loops, J, K, L, or M to be nearest the building. Trains run through the Rocky Mountains 24 hours a day. They will blast their horns, they are long, they make noise. It happens, you can hear them, it is what it is. As a jumping off point to exploring the region, camping at Lake Louise is perfect. It’s easy to get to Yoho National Park, the Icefields Parkway, Bow Valley Parkway, or you can even double back to Canmore or Banff for daytrips. It also gives you quick access to Lake Louise, which means you can visit in the morning before it becomes a crap shoot for parking. 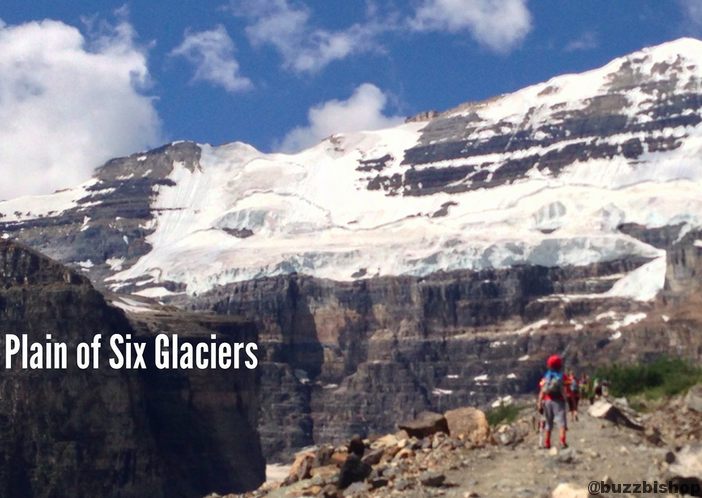 We did the hike to the Plain of Six Glaciers first thing in the morning. When we arrived, shortly after 9, we were able to park in the first lot even in the middle of a long weekend. Camping at Lake Louise gives you that quick access. 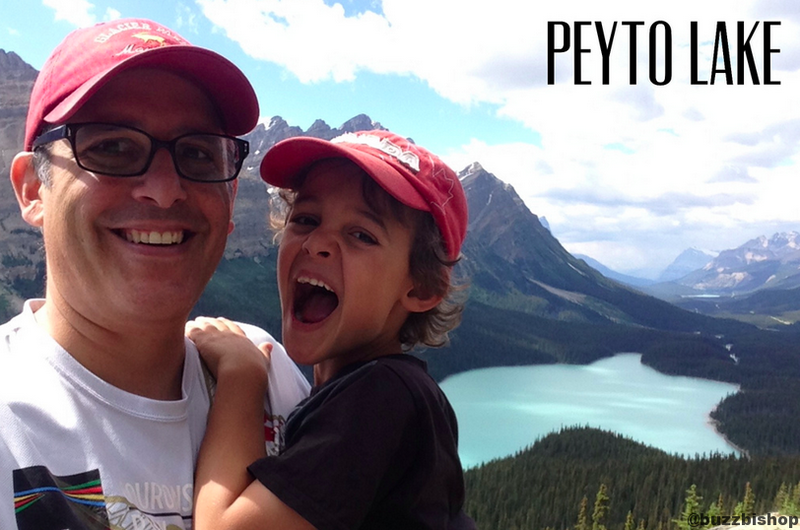 While we were camping at Lake Louise we visited the Chateau Lake Louise, we did the hike to the Lake Agnes Teahouse, we did the hike to the Plain of Six Glaciers Teahouse, we took the Gondola at Lake Louise, and we did the hike to the Peyto Lake Rock Pile at Bow Summit Lookout.